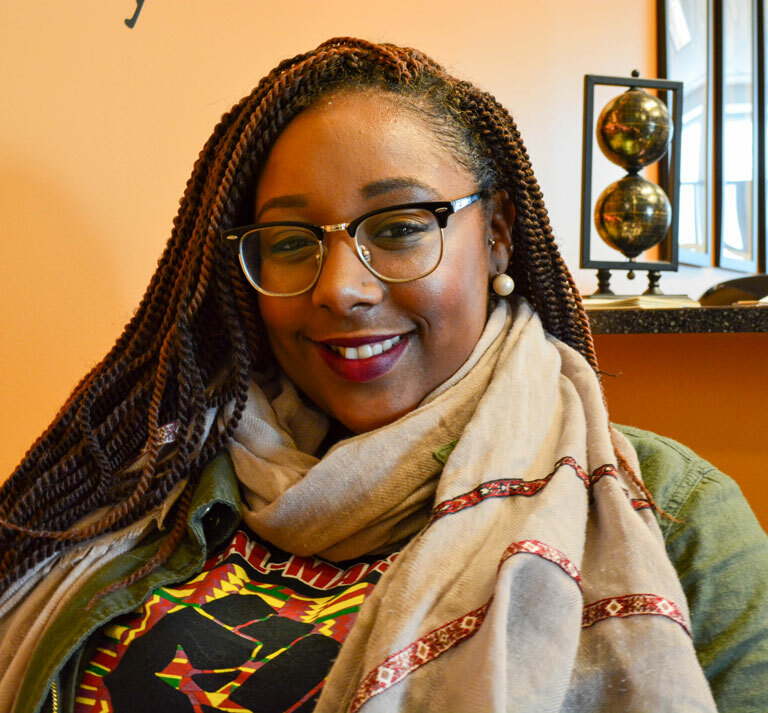 Indiana University senior Lauren Blackwell is conscious of the fact that she’s undergone somewhat of a transformation during her undergraduate experience at Indiana University. Upon her arrival on campus, the Gary, Ind., native found a community within three programs under the umbrella of IU’s Office of the Vice President for Diversity, Equity, and Multicultural Affairs (OVPDEMA)—the African American Dance Company, the Neal-Marshall Black Culture Center, and the Groups Scholars Program. The second-oldest of eight children in a blended family, Blackwell learned about the dance company from her cousin and 2015 IU graduate Brittany Patikas. “It was the first Tuesday of my first semester. I’ll never forget it,” recalled Blackwell, a health administration major. “Being a member of the dance company has been life-changing, because we don’t just dance. There’s always a meaning behind it. Professor [Iris] Rosa teaches us about what it means and what’s going on, and she gives us an opportunity to express that and show how we feel about issues, through our movement or even in words, if we have a discussion in class. People at the Neal-Marshall know me personally. They’ve seen me grow. They’re like my family away from home. Blackwell, who will graduate at the conclusion of the fall semester, will travel with the dance company to Beijing, China, on December 16, the last day of final exams. In addition to being a fitting end to her IU experience, the trip will make up for last summer, when Blackwell was slated to participate in a study-abroad program, but was unable due to a bout of pneumonia. That trying time gave her perspective about the people close to her at IU, particularly through the encouragement she received from the community of staff and students at the Neal-Marshall, where Blackwell is a student employee. “Even though Monica [Johnson, director of the Neal-Marshall Black Culture Center] was only my boss for maybe a month, when I got sick with pneumonia, she was at the hospital every day. Of course my mom came to see me, but if she wasn’t able to, I still had my co-workers and bosses here that came to support me,” explained Blackwell. “They always go to my performances with the dance company, too. So if I need to cry about a class that’s about to make me lose my mind, I can come here and they’re definitely going to help me—whether it’s helping me get resources or just telling me to calm down. While the upcoming trip to China means she won’t be present at the center’s December Congratulatory Banquet, the Neal-Marshall’s ceremony for fall-semester graduates—the dance company leaves earlier that afternoon—Blackwell will certainly be there in spirit. After she graduates, Blackwell will remain in Bloomington. She previously interned at the Women’s Care Center, a pregnancy and resource center for women, in Hammond, Ind., near her hometown. She says the center will open a Bloomington location in February, so when they offered her a position, it was an easy call for her to stay local. Don’t be surprised if you see her hanging around the Neal-Marshall in her free time. The Neal-Marshall Black Culture Center’s December Congratulatory Banquet takes place Friday, December 16, 6-8 p.m.